“There are many skilled photographers in Sweden. As well, the country is also home to many capable journalists and authors. A few of them can put words and images together to tell a story in a captivating way. One such man is Per-Olof Sännås”. 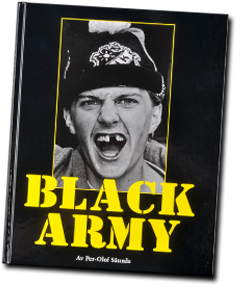 So wrote the Swedish liberal news magazine NU when Per-Olof Sännås book came out about the AIK football team’s notorious supporter club, Black Army. Per-Olof Sännås is the photographer who became famous for his in-depth portrayals of various youth subcultures. With camera in hand, he has spent many years together with different gangs, such as the skinheads, spray-paint vandals, Greasers, Black Army and Hells Angels, and has then published acclaimed photo books about them. “Per-Olof Sännås is exceptionally present in his work behind the camera. He is a low-key, sensitive observer and reporter. He sees and hears with the astonishment of a curious child. Moreover, he registers his impressions with the absolute precision of a professional reporter”, writes Fotonyheterna. Per-Olof Sännås was born on 28 December 1949 in Södermalm, Stockholm. His journalistic exploits began in 1974 at Huvudstadspress, a subsidiary of the major daily paper known as Svenska Dagbladet. Huvudstadspress published local papers in Stockholm, and Sännås worked with the south-end editorial staff. 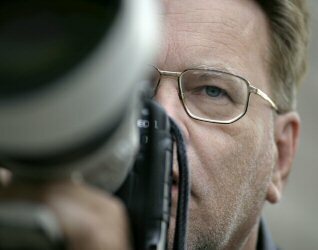 Per-Olof Sännås began as a reporter, but later found that he was more interested in taking pictures. 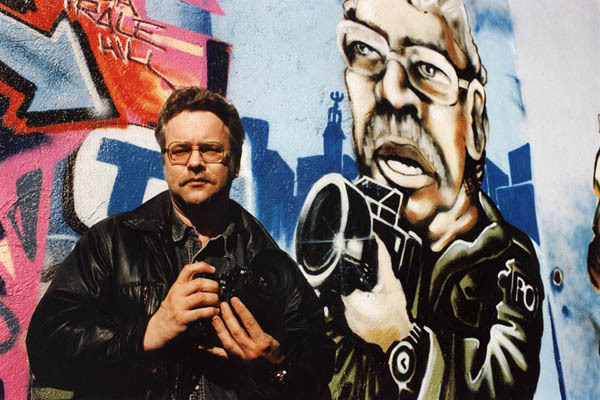 "My first camera was a second-hand Nikon F2, which I bought from Gunnar Ohlssons Foto on Hornsgatan”, he recalls. 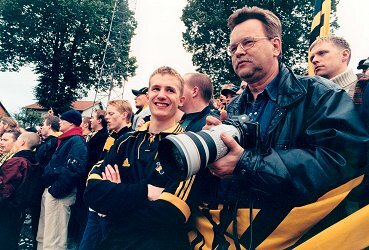 After spending a few years at Huvudstadspress and then at the Bonniers weekly periodical publishing branch, he became a full-time press photographer. Sännås obtained a police-band radio and started riding around at night taking news photographs, which he sold to the morning and evening papers. At first, he worked mostly for Svenska Dagbladet, but it was not long before Aftonbladet became his most important client. At the same time, Sännås become more and more interested in documentary photography. During his nightly voyages of discovery through the big city, he met people from the dark side of society. There were drug addicts, tramps and criminal elements, whom Sännås documented with his camera. American photographers Weegee and Robert Capa were his role models. In the summer of 1986, Sännås ran into a gang of skinheads in the Stockholm quarter of Gamla Stan. Sännås returned to the skinheads’ meeting place and in the end they accepted him. Sännås lived with the gang for three years. 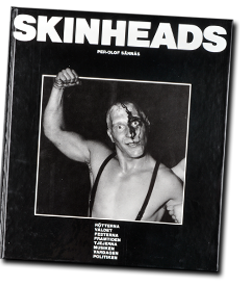 The result was the photo booked entitled Skinheads which was published in 1988. The both violent and captivating pictures made Sännås into a name within the world of documentary photography. The diligent photographer had found his niche. “After the skinhead book, I wanted to do something completely different”, he says. 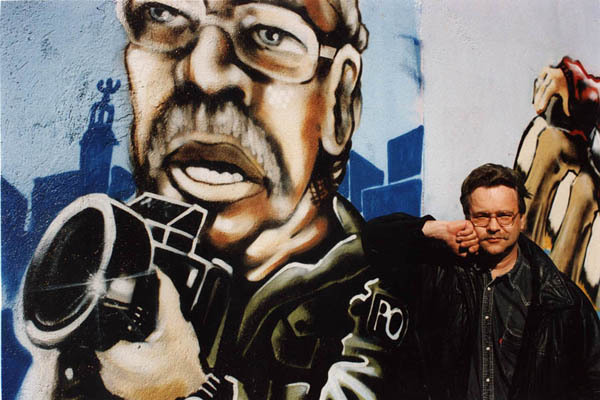 Per-Olof Sännås’s next project was to document a gang of graffiti vandals. “An interaction that brought the photographer into nightly culverts, through underground tunnels and beyond the farthest of the suburbs’ of the Million Programme housing project”, to cite Svenska Dagbladet. Per-Olof Sännås followed the gang for three years. 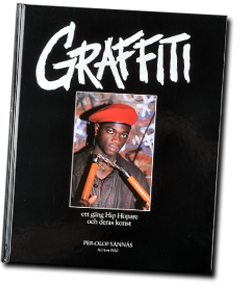 The unique photographic material was presented in the book Graffiti in 1993. Once he was done with the graffiti vandals, Per-Olof Sännås took an interest in the football-supporter subculture. In the spring of 1994, he followed AIK’s supporter club, the notorious Black Army, on a bus trip to Gothenburg. This was to become the start of his next major photo project. 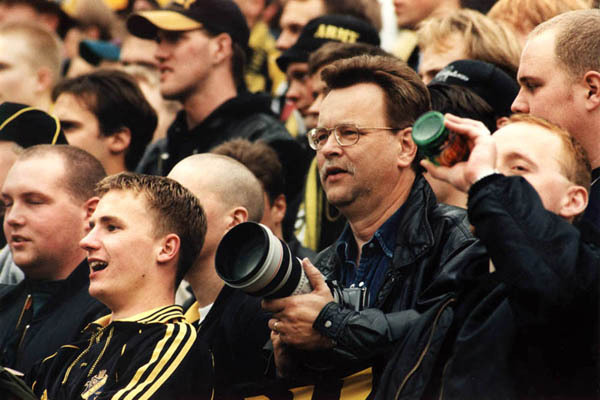 For four years, Sännås lived with the black-and-yellow gang on the north-side bleachers at Råsunda. He went to all the matches, travelled along on away games all over the country and, using his camera, he documented supporter life. “Football is not a matter of life or death. It is something much more important that that”, stated Sännås. His work resulted in the book Black Army in 1998. While working on the Black Army book, Sännås became acquainted with a few bikers in the Lugnet industrial area. They were known as the Choppers South Side and they dreamt of one day becoming Hells Angels. Per-Olof began spending time with them. After having being a hang-around club at first, then probationary members, they finally became Hells Angels Stockholm chapter in 1997. 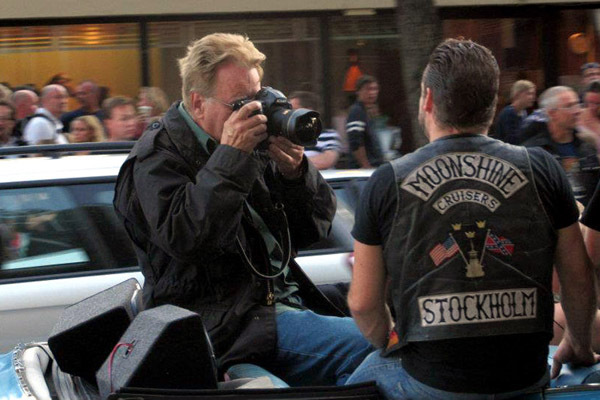 The first photographer in the world to do so, Sännås was given permission to depict the notorious motorcycle club from within. In the Hells Angels world, Sännås experienced up close the major Nordic MC wars, wild parties, biker weddings and dramatic police raids. 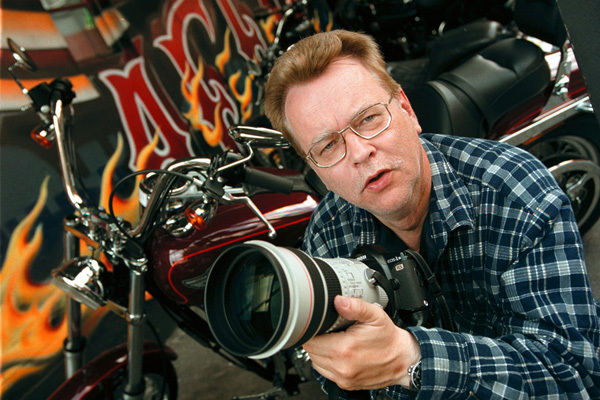 Sännås lived with Hells Angels for five years. “You have come as close to us as anyone can without becoming a hang-around”, explained one of the members, and the police wondered whether Sännås should not even get a motorcycle of his own. 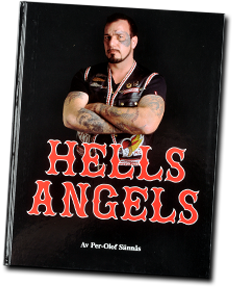 The book Hells Angels was a great success and was even translated into English. “Most impressive of all is what is found in a footnote on page two in Per-Olof Sännås’s new book on Hells Angels: The author has previously published Skinheads (1988), Graffiti (1993) and Black Army (1998). For the fourth time, he has succeeded in doing the seemingly impossible in making his way into a closed and fabled subculture”, wrote the periodical Foto. Following a hiatus, it was once again time for Per-Olof Sännås to get his next major photo project off the ground. "I have always been fascinated by the swedish welfare states first rebels - the Greasers, or Raggarna as they are called here", says Sännås. 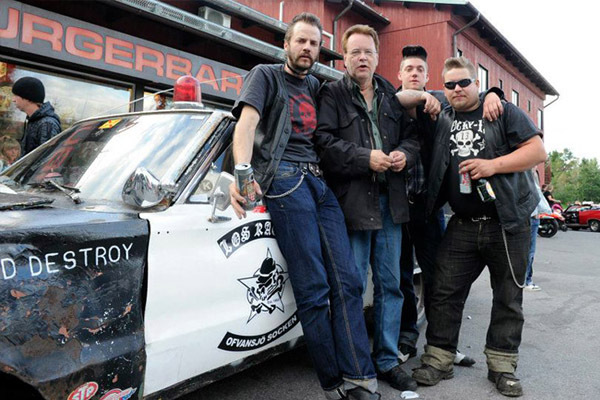 In the autumn of 2008, Sännås flagged down a Greaser car on Sveavägen and asked if he could go for a ride. With a certain amount of hesitation, the Greasers in the car let him in. So began his journey into Swedish Greaser culture, a stint that would last three years. “I found a culture that was still alive and developing in spite of 50 years having passed since the first Greaser gangs appeared. Per-Olof Sännås enjoyed being in the Greaser’s world. 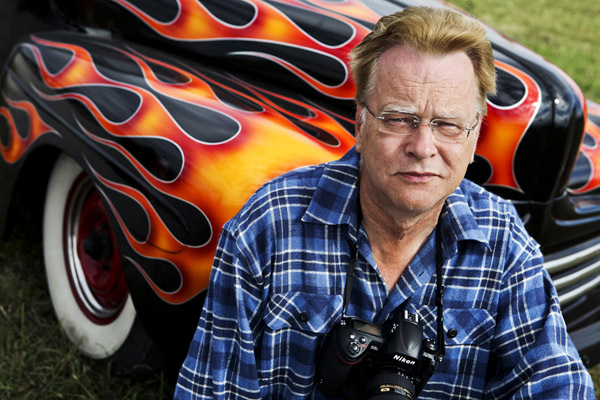 He spent countless nights squeezed into the backseat of various Greaser cars, enjoyed the sound of the V-8 engine, 50’s music and the camaraderie. At times, when nobody else was sober, he even got to drive the Greaser cars himself. 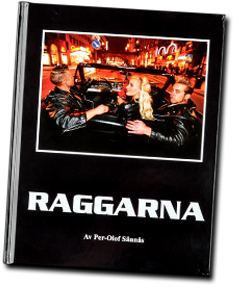 The book Raggarna was released at a major release party at the Moonshine Cruisers Greaser club in Stockholm in May 2012. More than one thousand Greasers from all over Sweden came to take part. Today, Sännås is somewhat of a cult figure within documentary photography. “A picture not worth taking risks for is not worth taking at all”, he says. Read the P-O Sännås interview in the Kamera & Bild photo periodical here. 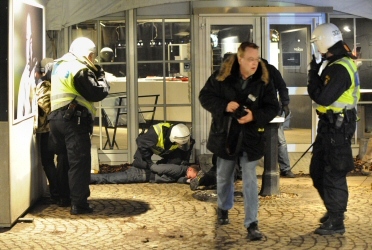 Member of the Swedish Union of Journalists (SJF) and the Press Photographers Club (PFK).